MERRY CHRISTMAS HORRORFIENDS! From the Crew of Hidden Horrors. 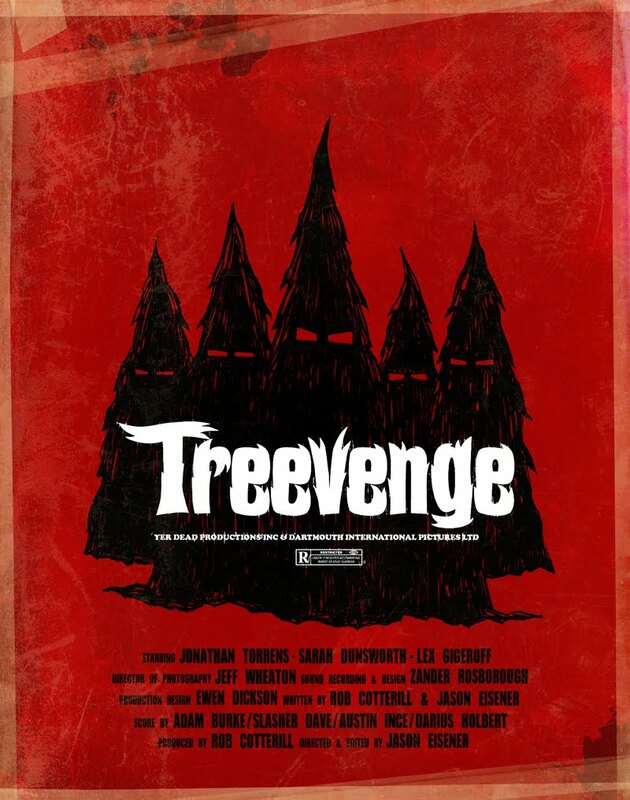 and a few to give you fellow horrorfiends a insane and gory little christmas is to tell you about “Hobo with the Shotgun” director Jason Eisener Christmas horror short film TREEVENGE. 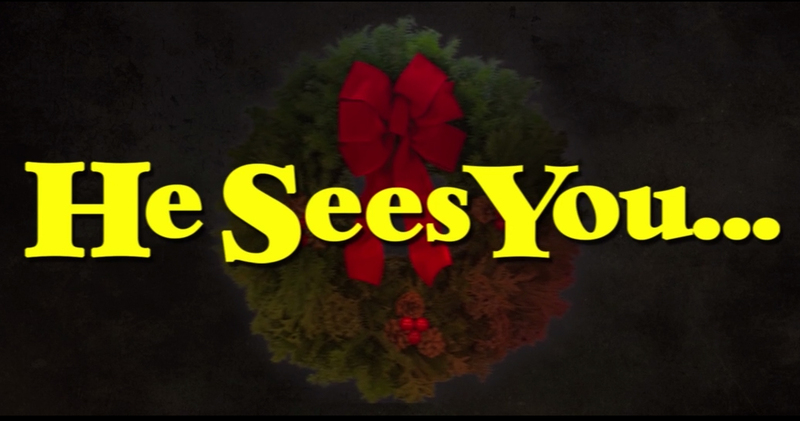 Treevenge takes you through Christmas but not through the eyes of a average person oh no. It takes you through Christmas through the perspective of the pine trees and all the Horror and slaughter they go through during the yuletide season. Finally the Trees have had enough and start a insane and gory revolt leaving no one spared…men, women, children and even babies are mutilated by the trees in there rebellion. Treevenge is balls to the wall insanity from start to finish. Before all the gory slaughter happen there is still a kinetic insanity that Jason Eisener puts into the short film right from the beginning and never stops. A kinetic insanity that he’ll later master in “Hobo with a Shotgun”. The short feels like it is rip roaring at the fast pace and can glue you to your seat and once the bloody mayhem starts youll be taken aback yet cheering at how no one is spared from these rebellious trees. The film tells the story of a masked serial killer terrorizing London around Christmas time. The only thing is that he wants to kill Santa Clause. This masked killer kills anyone dressed in a Santa Claus costume in brutal fashion. The Santa Clause slaying eventually draw the attention of Detective Ian Harris and Sergeant Powell. Things get more strange when Powell gets a present with a mysterious message on it reading ”Don’t Open Till Christmas”. As the two detectives try to catch the killer and the film progresses, the body pile of Santas begins to rise, leading to the sleazy and over the top finale. Don’t watch this film expecting a sophisticated Christmas horror film. This film’s appeal lies in the sleaze and gore factor. The masked killer kills his way though the film executing anyone dressed in a Santa costume in brutal and creative ways. Some of these method include castration, putting a gun in Santa’s mouth and blowing his head off, burning one of his victim’s face’s off and more. One might why wonder why the masked killer hates Santa so much, but towards the end of the film, the killer’s fucked up reason is shown. This Christmas, if you want a bloody sleazy film, then this is for you. 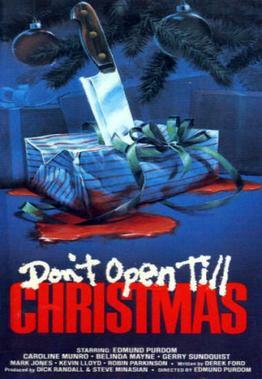 If you are offended by a masked killer brutally killing people dressed up as Santa in mean and bloody ways, you will be offended so don’t watch this film. On the other hand gore fans will be in heaven! The ending is pretty unsuspected as well. ”Another Santa is Slain”. HA HA! 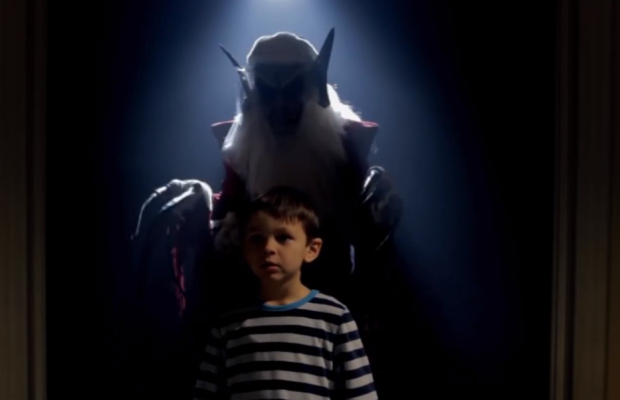 When little Jason decides to sneak a peek at the jolly old fat man on Christmas Eve, things take a turn for the worst. 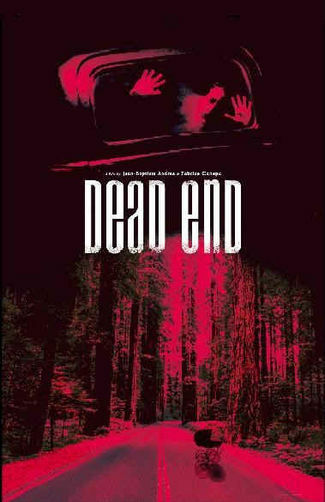 20 years before Tim Sullivan (2001 Maniacs) became a well-established cult-horror writer, director and producer, the 21-year-old New York University film student produced this winner of the Fangoria Short Film Search Award. A Christmas Treat delivers that warm, fuzzy, nostalgic feeling leading up to the climax, from Nat King Cole’s “The Christmas Song” to the vintage film look of the short. If you were born in the 1980s, you’d think you were watching an old Coca-Cola commercial. Of course, that’s not the type of “can” old “Santa Claws” opens in this short film. But whatever feelings the first three minutes resonates in its viewers, the final 45 seconds are comparable to the darkest and most disturbing scenes in any film… And 30 years later, A Christmas Treat is still effective.